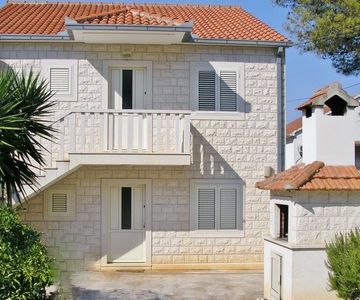 Beautiful stone house on the Island Brac with two apartments for rent, up to 10 people. Each apartment has 2 bedrooms, kitchen and living room, bathroom and big terrace. 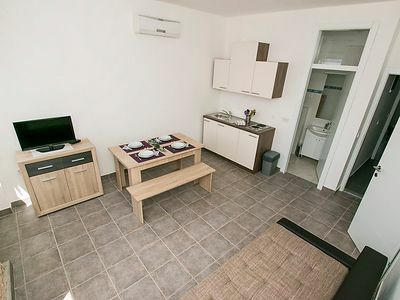 Both apartments are fully furnished including washer. 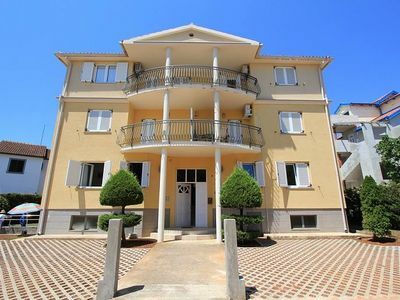 Apartments size: 65m2 +20m2 terrace. There are private front and backyard with BBQ. There is a parking lot in front of the house and in backyard. Pebble beach is very close to the house, about 2 min walking distance. 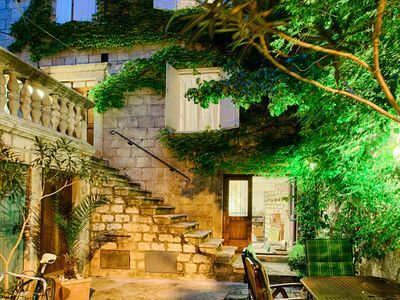 Grocery store is 150 m distance, restaurant is 100m distance and ferry from Split is 3km distance.